According to our Rheumatoid Arthritis in America survey, many patients report that RA has affected their ability to exercise, work, socialize, and/or fulfill family responsibilities. Rheumatoid Arthritis can impact many parts of your life, and for some patients, RA has changed your ability to do certain things. 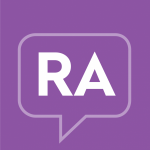 While you may be able to name all the ways that RA affected you, this month, we asked our RA community to tell us about all the things RA can’t steal, such as family, humor, faith, and identity. For many of our community members, RA can’t steal the love and support of family and friends. Especially with the holiday season approaching, many of you rely on family members to help with errands, shopping, cooking, and other tasks. According to some community members, RA has not stolen the joy of spending time with family and loved ones, making it possible to stay positive throughout your RA journey. While talking about RA can be challenging, for many patients, your family and friends serve as a valuable support system, and RA can’t take that away. For many community members, RA cannot steal your ability to laugh! Especially on the tough days, finding humor can make you feel better and stronger- Research actually shows that humor and laughter may actually improve overall health by decreasing pain, reducing stress, and strengthening the immune system.3 So whether you turn to funny movies or even just laugh with your best friend, for many patients, laugher is truly the best medicine. According to many of you, RA has not stolen your determination to live, or your love of life! In addition to physical symptoms, caring for your mental health is an important part of RA management. Because optimism can moderate the effects of stress1 and even relieve pain2, many of our community members have stayed hopeful, finding the courage to face their RA while also appreciating life. Some of you enjoy physical activity and exercise, and others look for new adventures. No matter what keeps your determined and motivated, we support you, and hope you will share that optimism with others. For many community members, faith and religion play an important part in your RA journey. For some of you, your belief in a higher power helps you to appreciate all of life’s blessings, even when faced with the difficulties of a chronic condition. As explained by many of our community members, RA can’t steal your faith, which provides you with constant comfort and support. With your faith, you are never truly alone, and even RA can’t change that! While it might be easy to think about the things that RA has changed or stolen from your life, for many community members, RA can’t change who you really are. Some of you continue to enjoy music, nature, or writing, and even if RA symptoms impact your daily life, they can’t change your identity, your values, or your spirit. No matter what RA bring, we encourage you to enjoy the things that RA can’t steal from you, and share your experiences with the RA community. Segerstrom, S. C., and G. E. Miller. "Psychological Stress and the Human Immune System: A Meta-Analytic Study of 30 Years of Inquiry." Psychological Bulletin, vol. 130, no. 4, July 2004, pp. 601-30, doi:10.1037/0033-2909.130.4.601. Accessed 11 Nov. 2017. Lees, Kathleen. “Rheumatoid Arthritis And Mood: Is There A Link?” Science World Report, 30 July 2015, www.scienceworldreport.com/articles/28338/20150730/rheumatoid-arthritis-and-mood-is-there-a-link.htm. Bennett, Mary Payne, and Cecile Lengacher. “Humor and Laughter May Influence Health: III. Laughter and Health Outcomes.” Evidence-Based Complementary and Alternative Medicine, vol. 5, no. 1, 16 Feb. 2007, pp. 37–40., www.hindawi.com/journals/ecam/2008/904752/abs/.